As the world moves forward with women sensitive political agendas, in Puntland it has become rhetoric full of empty promises as politics in this country becomes for MEN by MEN.. The political wind has been blowing in the right direction for women across the world lately. 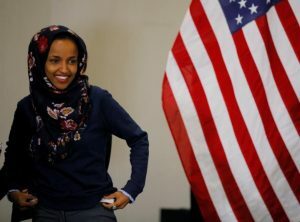 Whether it’s the historic new cabinet of women in Ethiopia handpicked by PM Abiy in a country that has been ruled by closed systems of dictatorship for decades, or the powerful sweep of American election where history was made and the high tide blowed in the direction of women of all hues and distinction including our own daughter Ilhan Omar and native women who are trailblazers for the people they represent. “Our women ministers will disprove the adage that women can’t lead,” These are the words of PM Abiy when he strategically put women in key government posts such as president, Defense and Security, Trade, Transportation, Science, Culture, and Revenue. Unfortunately this old adage from PM Abiy rings true in the minds of law makers in Puntland. All these changes point to one thing, that leaders and citizens across the globe are listening and paying attention to the big contribution women bring to political inclusion. In contrast to all the progress women are making worldwide, even in our own backyard in Ethiopia, the Somali women seem to be treading backwards. Puntland president Cabdiweli Cali Gaas, a professor by profession and an economist by training, a man who has spent a considerable amount of his college years in the US has formed the dispute resolution committee (Guddiga Khilaafaadka). This powerful committee is often formed weeks before Puntalnd goes to election. The sole reason for the existence of this committee is to mitigate any disputes of the incoming parliamentarians who singlehandedly influence the selection of the next president of the country. This influential committee which interested participants were lobbying for weeks if not months, didn’t include a single woman. I’m personally aware of many women who lobbied the president and his close allies for weeks. These women are all amazing in their own right, and are true leaders. They are advocates of change and are professionals in various fields. Some of the women seeking inclusion have never left the country and have built this land from dust with their bare hands. When the final committee list came out, I was flabbergasted, I thought the president is a man of progress, a thinker and a forward looking person. A man who knows the contribution of Somali women to this land and the price they have paid and keep paying every day for not having their influence on the table. Indeed today was a gloomy day for every mother, girl student, female professional and mothers battling daily survival. Women who would champion for women sensitive policies have been shut out of this powerful committee by the defect political process. I am not certain what had transpired for the president to neglect women in such a harmful way, to not value them, and to not understand their significance in this committee in particular. 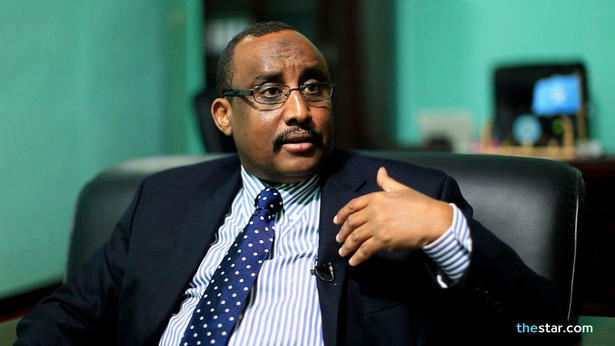 Suffices to point in this day and age, it’s disappointing a man of this caliber wouldn’t consider even one woman in a committee that can have so much impact on the number of women in parliament who will inact policies that effect women across Puntland. Also the decisions of this committee will make or break the qualities necessary to vote in good faith for high caliber, good standing parliamentarian law makers of principle and high morals who will select the next president hopefully not on the size of his bank account but on integrity, commitment to the needs of the people, accountability, and honesty. Unfortunately the committee and by default the parliament will be all Male and any women aspiring to be part of this political process has just lost her opportunity. Somalia is historically a land of tradition and male dominated, but in the president we were encouraged to have an American educated leader. For those of us fighting for social change, we thought of him as an ally and a change maker who would push gender parity in his tenure. Every five years we wake up to the severity of our struggle as Somali women. It sometimes seems such a defeat to simply be included in the election process. As we speak traditional leaders are crowing their boys with the gift of becoming part of the 66 exclusive parliamentarian law makers which is often all male. This male dominated parliament yields very powerful influence in government and are the defacto body of government to pick/select the next president of Puntland on January 8, 2019. This exclusive body of law makers are hand picked (after much wheeling and dealing) from another arena powerful body of traditional clan leaders where women are excluded from. Traditionally women are never part of this body and have no say and no voice. In 2018 we are witnessing how hard its for Somali women all over the country to lobby these traditional leaders, because it’s culturally taboo and frowned upon when a woman tries to meet with her clan elders to request support. So today was another blow for political participation for women in Puntland to be excluded and their voice muted by none other than a sitting president yielding his power for his own gains against women who for long placed much aspiration and hope in him. Just three weeks ago the president himself, in a room full of euphoric women promised to make all members of this committee women if the 30% quota for women isn’t approved by this government. Women chanted with joy, hoping this would come true, instead they woke up to the defining defeat of stifled aspirations. One wonders if this was a hallow promise or was it part of a game politicians have been playing on Somali women for decades. Is the president not taking the importance of women’s political participation serious? Today we have come to the realization that we as women have no allies in our well educated president who is at the helm and is influencing much of what will transpire here for the next five years. Could the president not find one qualified woman to include in this committee? Politically aspirant women of Puntland have gone to great lengths to convince their traditional clan elder to consider her as a parliamentarian member, any of these women who had to outlay heavy wads of cash from her hard earned family assets just so she could maneuver the process to become a parliamentarian would have her dreams crushed for not having one single female in this committee on her side. Any young girl who dream of becoming a politician loses her yearning to this one single act. A single signing of the president’s pen says all our efforts as advocates of change, as change makers, and fighters for justice are nullified. As the world moves forward with women sensitive political agendas, ours in Puntland has become rhetoric full of empty promises as politics in this country becomes for men by men. For the hard working women who have gone through so much to gain a seat in parliament, you are a winner just for trying. Now the hard work begins. Unite, campaign, push doors for they will not be pushed in your honor, and like women around the globe who sprint to gain their rights, your rights are in the hands of your men and until we see the hopeful day of one woman one vote, you mustn’t go shunned and quite. Maybe your loud voice have fallen into deaf ears of indifference, so be louder and march harder. Mr. President, open your bright mind and redo this committee, we urge you to include deserving women, not one or two, but more. Without them this political process is numb to our needs, and struggles to change our political position. To add insult to injury, the Vice President Mr. Cabdixakiim Camey who is in continuous disagreement with his president released a counter committee list, arguing illegality and unfairness, this list was also void of women. One wonders what has happened to these men, both hailing from the place dreams are made and realized, America. To break it down and simplify the heavy fight women must face just to gain a seat in parliament in Puntland in 2018. And since the playing fields are not even, women must jump all kinds of hoops just to have an opportunity to sit in front of her clan elder. Female parliamentarian candidates don’t have power brokers like their Male counterpart. No one will lend her money, loads of cash ahead of time, every penny she spends in lobbying, is hard earned. She may have to forgo important needs such as health care for her family or educational opportunities for her children, she may sell land for an opportunity to have a voice in this Male dominated arena. Indeed women of Puntland have witnessed a defeat today and they may have already given up. To you I say, go and fight the hardest fight, go in numbers, forgo comfort and ease for comfort and ease have never won women their greatest achievements. Your eyes must forget sleep to lead the flock and campaign with your pen, in person, and in voice. Take to the airwaves, find allies in men and let your voice be heard, maybe our clan elders haven’t heard the urgency of having you in this political process, maybe the president forgot the compelling need to include you for you will work hard for mere survival of women in villages and towns all over Puntland forgot how your presence may safe mothers dying in child birth, or to give one more girl in poverty a scholarship to university, they forgot how your presence is all the example a young dreamer in a small village needs. Maybe they think you will give up and pick up the pieces and disappear. They may also think you have not shown your greatest toil yet. Your struggle must go on until every woman has her voice heard. As you wipe tears of defeat, dear brave women of Puntland, never give up for the fat lady has yet to sing. Don’t let anyone define you, go make your history, because it’s still possible, and indeed Puntland needs a visionary leader who isn’t blinded to women’s contribution in government and society. Yasmeen Maxamuud is the author of Nomad Diaries.